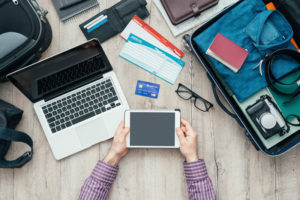 Protect your travels with these safety tips! It’s time for a vacation. Your bags are packed, flights are booked, and you’re ready to hit the road. Exploring a new place is exciting, however, it can also be dangerous. However, before you get ready to go, it’s important to brush up on your travel safety tips. Check out how to stay safe on your vacation with these tips. Get familiar with your destination. Before traveling, do some research. That way you have a bit of insight when it comes to your destination. You can learn what neighborhoods to visit and which to steer clear of so that you stay safe. Copies of are your friends. From passports to itineraries to important travel documents, make a few copies. Keep on on your person and one in your bag. Don’t keep them all in one place. If you lose one, you may wind up losing all of them. Also, leave a copy with a few friends or relatives so that someone can keep an eye on you while you’re away. Leave valuables at home. Never travel with more than you need. It puts you at an increased risk for burglaries. Rather, keep your valuables at home, and safely store your cash and credit cards away when out and about. Be vigilant of your environment. Stay away from crowded places and demonstrations, watch your alcohol intake, don’t talk about your plans with strangers, and stay in well-lit areas. Be smart about where you go and who you interact with. Stay safe on your vacation with these tips. Stay safe at home with the right insurance. Contact the professionals at Robert J. Los Insurance Agency to find you the right insurance. Located in Hamburg, New York, we serve all your personal and commercial insurance needs.